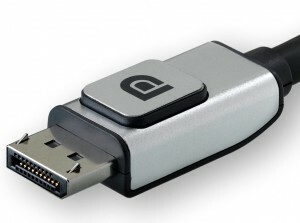 DisplayPort High Bit Rate (HBR) was the standard bandwidth that came with DisplayPort 1.0, 1.1 & 1.1a video cards. It has now been replaced with HBR2 (the vast majority of video cards made in 2014) and then with HBR3 (mid-2015). The total bandwidth of High Bit Rate connections is 10.8 Gbit/s, the Video Data Rate being 8.64 Gbit/s. & all lower resolutions and the ones in between.